Alcon (formerly CIBA VISION) AIR OPTIX® Aqua Multifocal Contact Lenses (3 pack) - a multifocal monthly disposable contact lens. 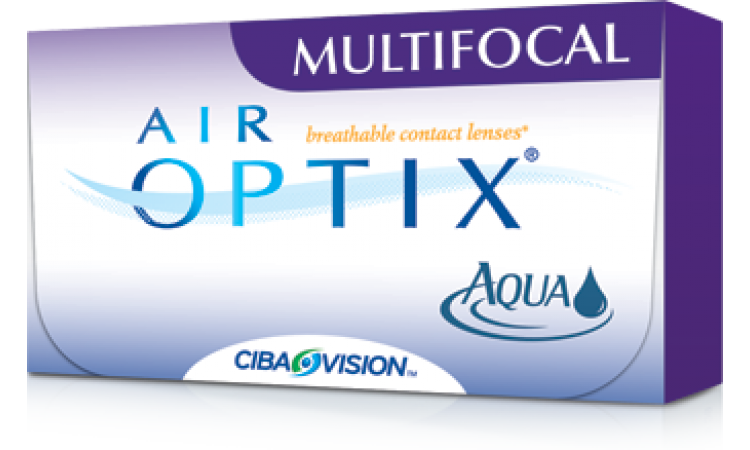 Whether you're reading, driving or working on a computer, Air Optix Aqua Multifocal contact lenses gives you crisp, clear vision. They're designed with TriComfort™ Technology to provide breathability and moisture retention, while resisting deposit build up. These lenses provide a smooth transition as your eyes move naturally from one focal distance to another - near, intermediate and far.